Mr. Pârvulescu, the government recently survived a no-confidence vote, initiated by the two leading opposition forces: the Social Democratic and the National Liberal parties. Where did they fail? The opposition, and especially the Social Democrats, PSD, did not have the capacity to “penetrate” the ruling party, the Liberal Democrats, PD-L, and its ally, the National Union for the Progress of Romania, UNPR. Even if they have negotiated with some of their members to win their votes, as long as the latter were not certain that the government would come down, they could not risk showing their opposition to it. Others changed their minds at the last moment. The question is that the PSD did not have a clear alternative to offer. Let’s not forget that many MPs are bound by a clientele to which they now redirect resources and return the favour for the support received for their election. With no guarantees about their future in the case of power shift, they ultimately prefer to remain loyal to the current establishment. Does a realistic alternative exist to the current establishment? There are alternatives, more than one. Firstly, there are alternatives within the powers that be: a government of technocrats, which may be supported by the current majority, or a government still led by the PD-L, but with a different prime minister. Recently, French President Nicolas Sarkozy got rid of several “problematic” ministers, staging a government dismissal, but keeping his prime minister. Such a move is also available to Romanian President Traian Băsescu; though the image of Prime Minister Emil Boc is extremely poor at the moment. In the current political situation, a change can come not by the will of the opposition, but only with the initiative of the head of state. The problem of the opposition is that they cannot overthrow Boc’s cabinet and form a new one without the support of UDMR (the Democratic Union of the Hungarians in Romania, a coalition partner in the government of PD-L, ed.). However, the UDMR will never switch sides before the other side actually has the power. In other words, they will never risk being accused of causing a disruption, but will only profit from a change already in progress. For all these and other reasons, the Boc government surprisingly seems to survive at what is already the end of the year. However, due to the government’s striking lack of legitimacy, it cannot implement almost any policy and each of its legislative initiatives becomes the object of dramatic public dispute. This only causes the economic crisis to deepen even further. Therefore, we have a crisis on a global level and a crisis on a European level, each with its own pace and specifics. However, we have yet a third variation of it, in Romania. Moreover, the crisis in Romania is worsening. 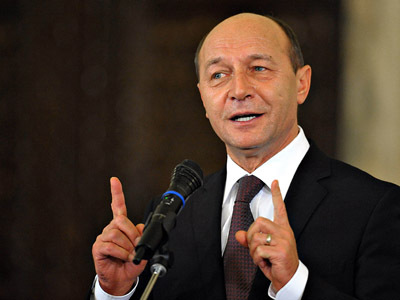 The impeachment of Băsescu is continually advocated. How viable is such an action and do you think it would be a solution to the current political stalemate? It depends on whether a new parliamentary majority is formed. I don’t foresee such a shift in the next three to four months. Things may only change if something extraordinary occurs during the party congresses of PD-L and UDMR, which are going to be held in the spring of next year; or, if UNPR, which by the way is an artificial entity, dissolves and its members return to their original parties. Politics is unpredictable, especially during a crisis. The image of President Băsescu is so bad; it is the worst image of a Romanian president since 1989. Once initiated, the impeachment procedure may very well lead to his dismissal. Băsescu is well aware of this possibility and that is exactly why he does not want a new parliamentary majority to be formed. However, within the PD-L, there are also discussions about what to do in a post-Băsescu period. Do you personally believe Băsescu should be sent home? As I already said, in Romania, we have a crisis of our own. Among its deepest causes are the personal ambitions of Băsescu to change the rules of the political game and the push of the current political regime towards authoritarianism. My personal opinion is that Băsescu has no interest in solving the economic crisis. An economic crisis awakes the monsters of the past. In the interwar period, an economic crisis produced anti-democratic spirits and the Iron Guard movement. Băsescu’s plan is inspired by King Carol II. In a very similar way to what is happening now, in 1938, Carol II, posed as the saviour of the nation and questioned the existence of the parliament and the political parties. He eventually took full control over the state, acquiring absolute power. Therefore, if Băsescu is not replaced, he will continue to be a “turbulence factor”, forcing the change of the system, attacking the parliament, attempting to divide the parties. Naturally, parties try to retaliate. Instead of concentrating efforts and resources into fighting the economic crisis, they focus on political bickering. In this sense, what can the PD-L congress of next year bring about? The congress can go in two directions: it can either strengthen the positions of Băsescu’s supporters within the party or split the party in two camps, with those against the president actually raising electoral support among the voters already very unhappy with him. A third option is represented by the personal ambitions of local party leaders, which can mess up with the plans of both camps. In short, many cleavages may potentially play a major role in the near future. Is the bickering between the political parties in Romania as bitter on a local level as it is in the capitol? There is, in fact, a certain harmony between the PD-L and the PSD on a local level. Both parties support the proposal for single-round elections of mayors and chairs of county councils. Such a modification of the electoral legislation will strengthen the positions of the local party leaders, known as “barons”. Moreover, this is very problematic because if the political life migrates from the central to the local level, we will all pay dearly: national policies will no longer be on top of the agenda. Those “local barons” already have extensive influence and this is one of the reasons for the economic crisis in Romania: any government, not only that of Boc, is incapable of imposing any nationwide policy while facing a strongly localised political class. Speaking of the economic crisis, Romania is in a continuous relationship with the International Monetary Fund (IMF), which keeps pouring money in the country, but the situation only seems to worsen. Whose fault is that? Particular fault lies with the lack of vision and perspective of the government; general fault lies with the political party leaders that have led Romania to its current poor state. The blind, unconditioned trust in neoliberal policies and the absence of debates about alternative economic policies has brought us where we are. It is now obvious that the austerity measures, implemented by Angela Merkel in Germany, have had a negative effect. We see that the euro-zone economic growth has now collapsed. Whoever had expected that the United States or China would not react in a protectionist way to the crisis is now proven wrong. Is Romania still a democracy and how real is the risk of a radicalisation and a transition to an authoritarian, non-democratic regime there? I don’t think Romania was ever a democracy. Not in the interwar period, and not after 1990. Democratisation is a process that necessitates the effort of at least three generations. The Romanian society became relatively democratic at the beginning of the 20th century, but the first world war changed that. Then, in the wake of the 1920s, a new democratisation process began, but was blocked by King Carol II. Before the current crisis, Romania had entered a democratisation period, but without the society becoming a democratic one itself. Hence, in ideal conditions, Romania will need at least another 40 years to achieve democracy.